The Japanese video game magazine Famitsu has revealed the full details on the upcoming Ryu ga Gotoku 5 (known as the Yakuza series in English-speaking regions). As expected, the game is going to be developed on a new engine and several of the concepts from earlier games have been been improved or altered. The major news is that five characters are playable this time; Fan favorites Kazuma Kiryu, Shun Akiyama and Taiga Saejima all return from Ryu ga Gotoku 4/Yakuza 4, whilst retired baseball star Tatsuo Shinada and series veteran Haruka Sawamura becomes playable for the first time. Not only is Haruka the first playable female in the franchise, Famitsu reports that she is the main character (!). The scale of the game is said to be one of SEGA’s most ambitious in years, with the game being over twice the size of previous games and the development time of this newest game being longer than any game in the franchise before it. With this, changes to how the game progresses from adventure segments to battles are said to be largely improved and increased in size. The controls are also said to be receiving a major overhaul. The title’s original announcement confirmed the use of five major cities based on actual Japanese locations (Tokyo, Sapporo, Nagoya, Fukuoka, and Osaka), but the latest information explains how they will connect with the five playable characters. Ryu ga Gotoku 5: Yume Kanaeshi Mono (Which roughly translates to ‘As Though A Dragon 5: Those Who Fulfill Dreams’) is planned for a December release this year exclusively on PlayStation 3. 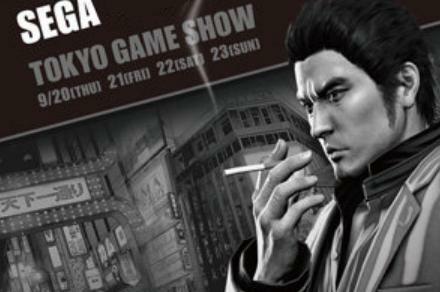 No discussion of a potential English Yakuza 5 is expected for quite some time. Yakuza: Dead Souls is the latest entry in the Yakuza franchise to be released outside of Japan. Rather than being a direct sequel to the last entry, Yakuza 4, it instead goes for a hypothetical story-line that acts as a non-canonical spin-off title, focusing on a zombie outbreak in the well known locality of Kamurocho, in Tokyo, Japan. Abandoning the beat em’ up style the franchise is known for, Dead Souls instead opts to create a 3D, third person action game focused on gun mechanics, akin to classic video games such as Zombies Ate My Neighbours, although with the aesthetics of the Yakuza franchise. The same game structure the series is known for is also present with its action story segments, its missions, and its open world full of shops and attractions. Created by the same developers in SEGA of Japan as always (ie: ‘Yakuza Team’), Yakuza: Dead Souls comes off as an experiment, seeking to provide a combination of horror comedy, zombies, and SEGA’s take on Yakuza in one title. 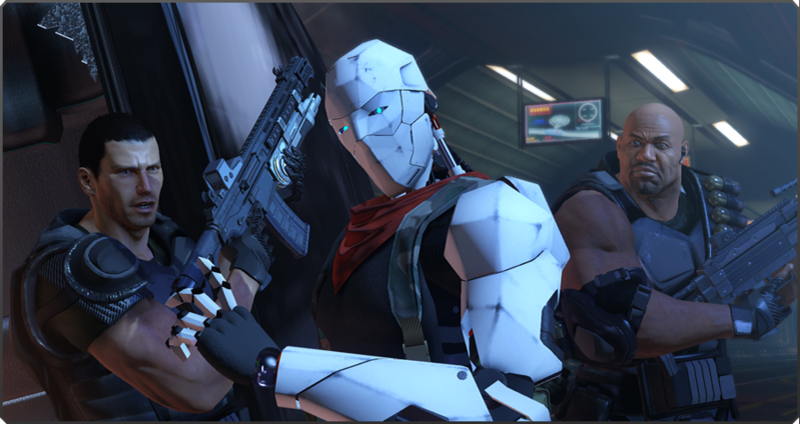 In news that is sure to excite many, Ryu ga Gotoku Studio’s third-person shooter masterwork, Binary Domain, is now available for purchase on PC. 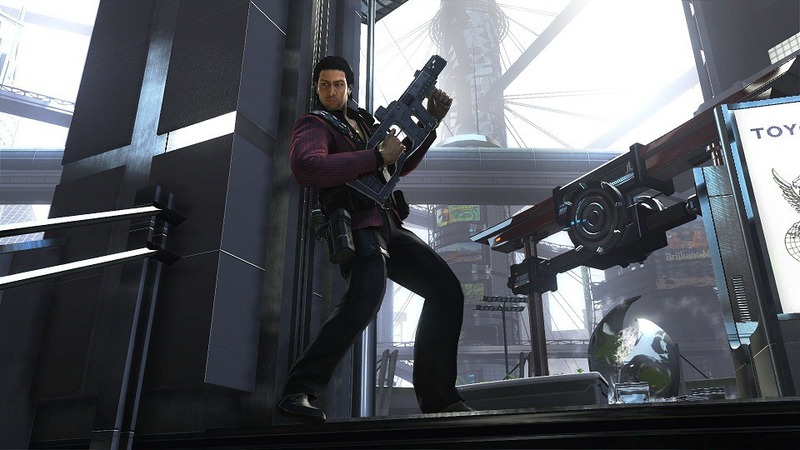 Originally released for the Xbox 360 and PlayStation 3 earlier this year, SEGA announced late last month that Binary Domain would be coming to the PC platform in early April, a consideration made at the behest of many fans. The port was handled by Devil’s Details, perhaps best known for the PC ports of Sonic Generations and Virtua Tennis 4, and retains all of the game’s unique features, including voice-activated squad commands and the Consequence System. 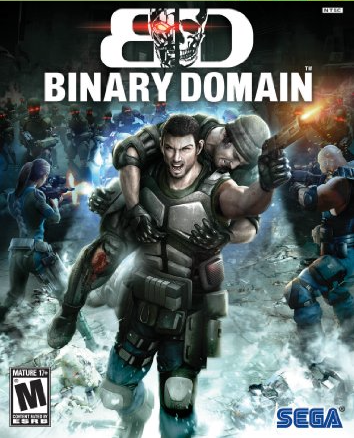 Though only available as a digital download for now, a retail version of Binary Domain is slated for release sometime in May. You can find our very favorable review of the game right here. For potential buyers, we’ve included the system requirements and a list of the mouse and keyboard controls for Binary Domain after the break. Personal View: SEGA’s March 2012 layoffs – A nail in the coffin or the makings of a bright future? Last week, news from SEGA of America broke that saw numerous members of staff fired, games canceled and a general downsizing of the entire branch of SEGA of America. Initially, rumors ran rampant and confused a large amount of fans across the globe, the worst of which was that the entire United States branch of SEGA had completely shut down, which of course is not the case. Immediate reconstruction has taken place going into their new fiscal year. They expect a net loss of ¥7.1 billion ($86.4 million) as part of the reform and news of this dropped their entire company’s stock 4%. However, the day after their stock rose 5% and is showing signs of continual growth. After the break I discuss the potential cancellations, their effects, observe the negatives and positives of the change and attempt to discover if SEGA truly is in trouble or if the downsizing is the start of a brilliant strategy. The rest of the post should be taken as speculation from a dedicated fan of the company and game industry as a whole and not as a financial advisor. Out of respect of those whom lost their jobs, any subjects around them will not be mentioned at all. The recently released third-person shooter Binary Domain has been announced for a PC port. Developed by Ryu ga Gotoku Studio, best known for the Yakuza series of games, the title was released just this February for the Xbox 360 and PlayStation 3. The PC version is being ported by Devil’s Details, who had previously brought Sonic Generations and Virtua Tennis 4 to the PC platform. It will be available in retail and for download on April 6th for 40 USD. Those who pre-order on Steam will receive the ‘Multiplayer Pack’ that includes the Ninja class an extra map for various modes and two special weapons. Our glowing review for the game can be found here. Binary Domain is a modern third person shooter action game designed and directed by Ryu ga Gotoku Studio whom are best known for some of the highest profile releases by the entirety of SEGA in the past decade, including, but not limited to the Yakuza (Ryu ga Gotoku in Japan) series, the original Super Monkey Ball games and F-Zero GX. A departure from all of their past few games in terms of mechanics and setting, Binary Domain maintains their high quality standard of cinematic, yet engaging story telling with fast arcade-styled action and excellent production values. 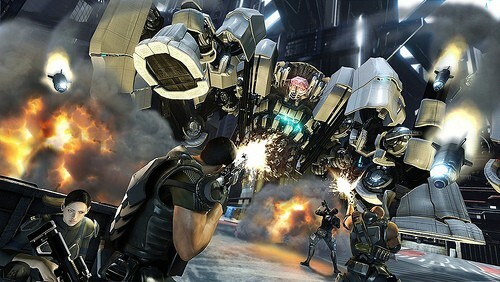 Free multiplayer downloadable content for Binary Domain was released on the Xbox 360’s Xbox Live Marketplace in Japan today. This content is accessible to all accounts on the system and works with all versions of the game, regardless of the player’s region. 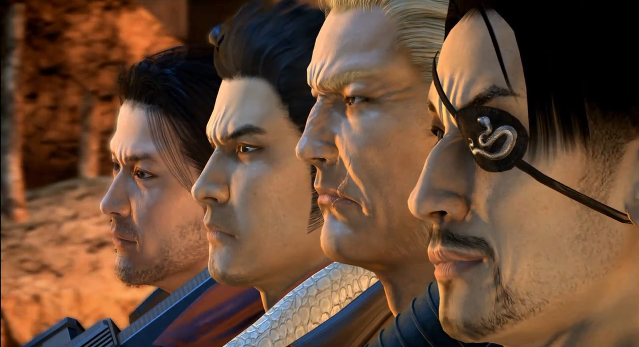 This download will allow players to use three of the Yakuza (Ryu ga Gotoku in Japan) characters in the multiplayer modes from the normally PlayStation-centric series. It includes Goro Majima as the ‘Crusher’ class with a shotgun, Shun Akiyama as the ‘Gunner’ with a submachine gun, and Ryuji Goda is the ‘Defender’ with a heavy machinegun. Kazuma Kiryu is notably absent as he was a pre-order extra in Japan. To download the data, players will need a Japanese Xbox Live Gamertag. There are many guides available online with how those from different regions can create an account. The single file is a surprisingly small 22mb and works in the game as soon as the download finishes. Here is a link to the download to queque the content onto your account. Currently we are unaware if the PlayStation 3 version will allow players to access this without a Japanese copy of the game, but we will update when we find out. SEGA West has not commented on if anyone outside of Japan will be able to obtain this content, but we have contacted them on the subject. UPDATE: The downloadable content does not work in all regions for the PlayStation 3 version. Thanks to George from SEGAbits for checking on it. Yakuza: Dead Souls, an action-horror spin-off of the critically acclaimed Yakuza franchise, is now available in North America. 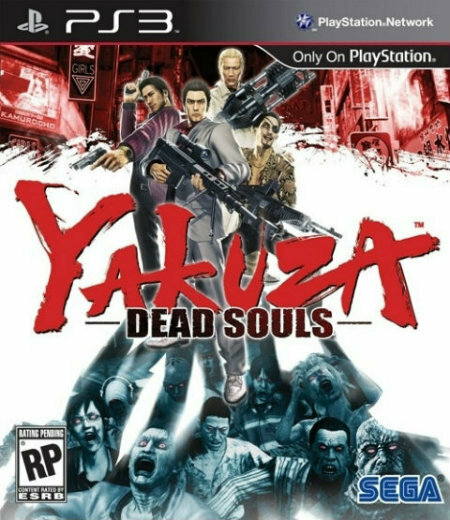 Taking place during a zombie outbreak after the events of Yakuza 4, Dead Souls sees the series main cast fighting for their lives against ravenous hordes of the undead. In addition to revealing a launch trailer to accompany this release, SEGA has also released a remixed version of the game’s title theme for free on their blog. It was released in Japan in June of last year and will be released will be released in PAL television territories on March 16th. Hit the jump to check out the launch trailer.